170 pages | 10 B/W Illus. William Outhwaite, FAcSS, Emeritus Professor of Sociology at Newcastle University, is the author of European Society (Polity 2008), Critical Theory and Contemporary Europe (Continuum 2012) and Europe Since 1989 (Routledge 2016) and a large number of journal articles and book chapters on contemporary Europe. He taught European studies and the sociology of contemporary Europe at the University of Sussex (in the School of European Studies) and Newcastle University (in the School of Geography, Politics and Sociology). He is an associate editor of the European Journal of Social Theory and European Societies, the journal of the European Sociological Association,and is a member of editorial boards of a number of other journals. 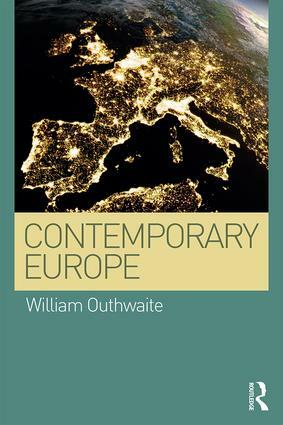 Watch as William tells us more about his professional past and the key themes behind his publication Contemporary Europe.